I'm a huge advocate of reading. We read to the boys even as babies. Logan's first words were "go! go!" because at the time his favorite book was Marvin K. Mooney, Will you Please Go Now! The boys have been reading on their own for quite some time but I believe it's still important to share reading with your children. 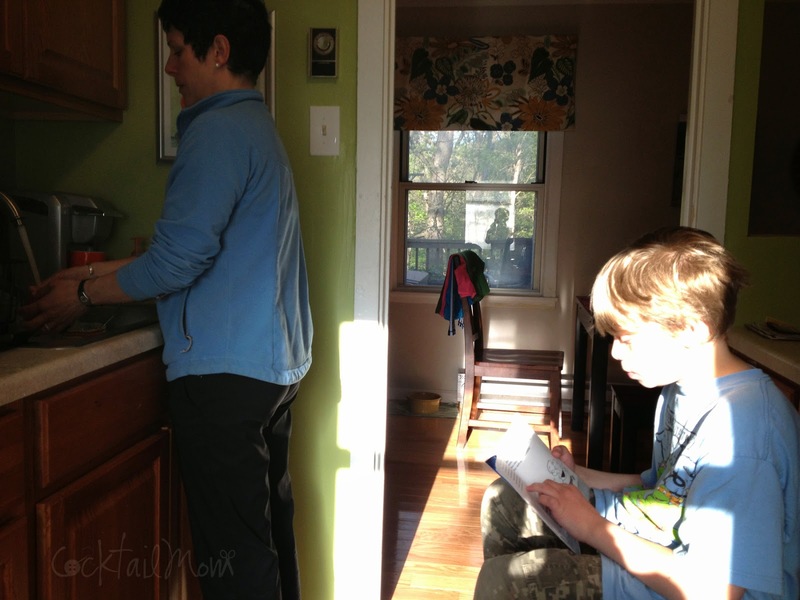 I often have the boys read out loud to me while I do dishes or prepare dinner. I like being able to hear them, help them pronounce a word and ask them questions about what they are reading. It opens a door, a glimmer into their thoughts. How do you read with your children as they have gotten older?